We’re all about that avo life! With thousands of Instagram images tagged with #Avocado, we can safely say that the secret is out that avocado is incredible. Have you ever tried the green stuff to ramp up the goodness of your snacks? 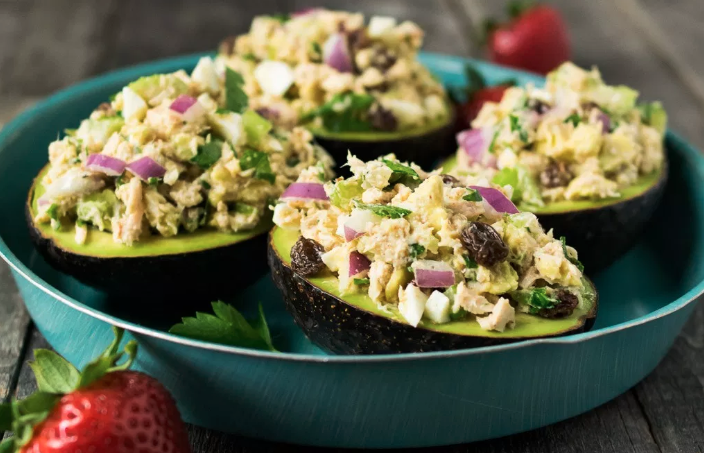 Whether you’re well-versed in the art of #AvoLife or need some more ideas on how to get experimental with this fruit (that’s right, it’s a FRUIT), we’ve got 10 delicious avocado snacks that will get you drooling! 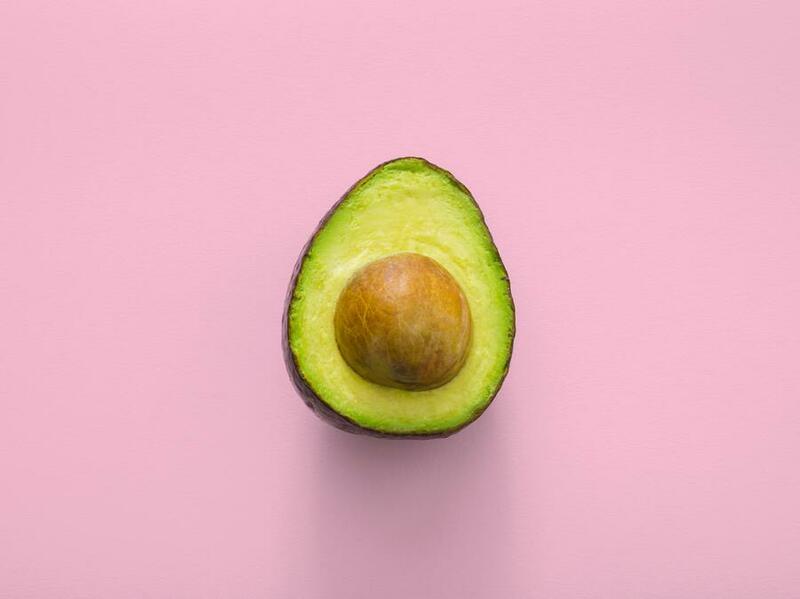 Avocado is high in healthy fats (low in saturated fats), loaded with fibre and real low in sugar, but it is indeed both flavoursome and rich in texture. It’s high content of essential nutrients, antioxidants and important phytochemicals is why many view avocado as a superfood! 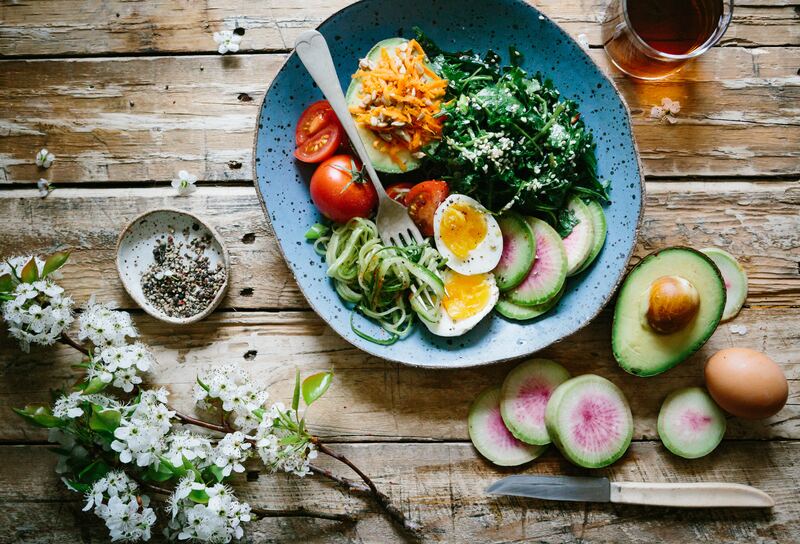 Clinical studies show that avocados can help support cardiovascular health, and there have even been some exploratory studies that suggest that avo’s may support weight management and healthy aging. It also contains small amounts of magnesium, copper, iron, zinc, phosphorus and manganese. And did you know that there’s more potassium in a serve of avocado than in a banana? With potassium intake linked to reduction in blood pressure, it’s just another reason to add to the long list on why avocado can bring a real health kick to your snacks. And lastly, the good fats in avocados can actually help you absorb nutrients from plant foods. Vitamins A, D, E and K are fat-soluble meaning that avocado can help increase the nutrient value of the other plant nutrients in your meals. Add avocado to salads and reap the benefits! 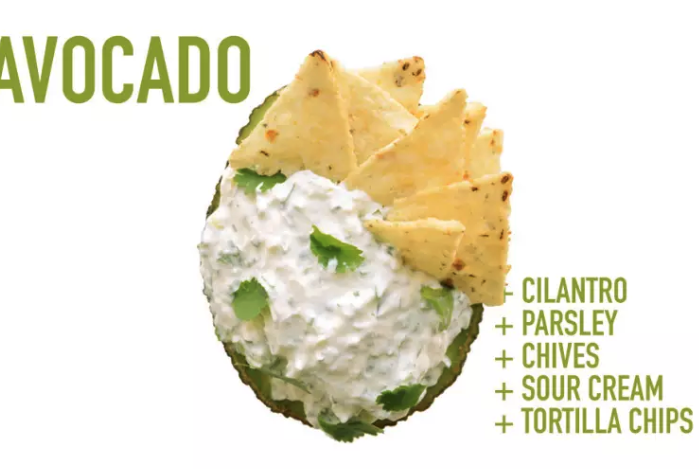 OK so we’re in full agreement that avocado is both delicious AND nutritious, so let’s dive into some avocado based dream snacks…. *If you're unsure of the vitamins and minerals you need in your diet, do check with a doctor or nutritionist before adjusting your diet. 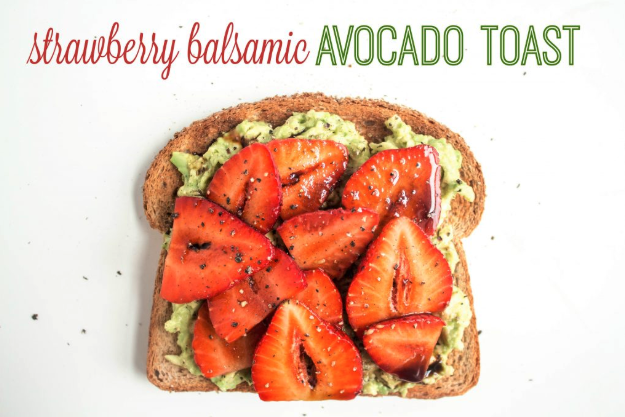 A sweet and tangy snack, this twist on avo on toast will definitely put a spring in your step! Place slices of strawberries on top of a thick slather of avocado, then drizzle with tart balsamic vinegar with a sprinkle of salt and pepper. See recipe here. Want to skip the bread and focus purely on a whole avocado? Pop out the stone, and that indent makes for the perfect bowl to fill with delicious things. Try grilling your avo and filling with homemade harissa hummus and tahini yoghurt. Yum! See recipe here. Feeling the Tahini vibes? If not, replace the tahini with mayonnaise and get stuffing your face with these salad filled avo halves. With cumin, brown mustard, red onion and parsley, this tuna salad is sure packed full of flavour! See recipe here. In need of something warming and spicy? 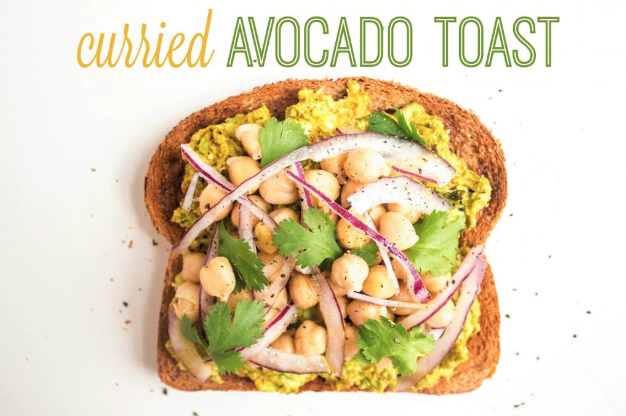 Smash your avocado with curry powder, then top with chickpeas, thinly sliced red onion and coriander. See recipe here. 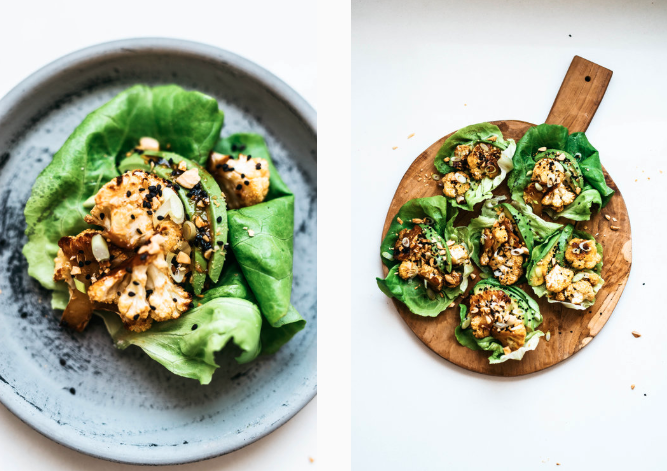 Stuff lettuce cups with spiced cauliflower and avocado, topped with sliced scallions and toasted nuts and seeds. Looks dead fancy, tastes incredible! Perfect for those who want to steer clear of more avocado on toast. See recipe here. Halve your avos and scoop out half the flesh. Mash the avo with herbs and sour cream, then spoon back into the shells. Eat with tortilla chips! See recipe here. Got guests and want to make a quick brunch that will wow them? Or just feeling super fancy on a weekend? Fill your avo halves with smoked salmon and egg, and bake. See full recipe here. 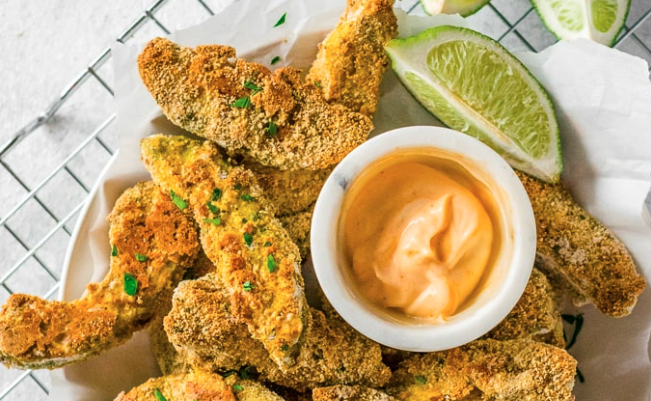 Forget the potato chip, it’s all about the avocado fries. Try this baked recipe as a snack, side dish, appetiser… just make sure you have the perfect sauce to dip them in! See recipe here. Big fan of protein smoothies? 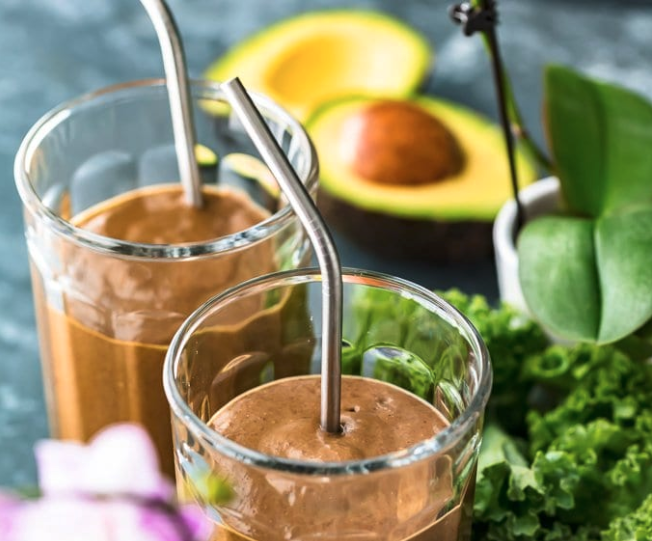 Try this chocolate dream which contains avocado. Along with protein powder, banana, kale, dark chocolate and coconut oil, you’ve got a powerful slug of nutrients. Shove it all in a blender and away you go! See recipe here. Sure, the weather’s a bit chilly right now, but if you have a sweet tooth then nothing will stop you trying these! 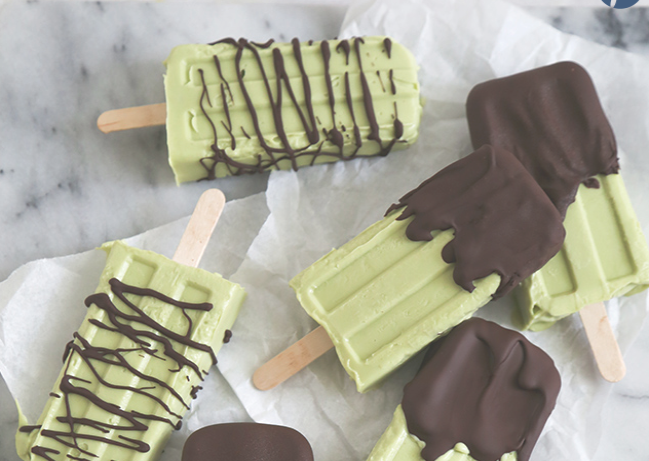 You’ll need a blender (and a freezer of course) but the recipe is super simple and these green popsicles will have you drooling. Don’t forget to dip them in melted chocolate to be extra decadent! See recipe here.